There are many different areas of expertise in the real estate field, but the two most broad or common real estate fields are commercial and residential. 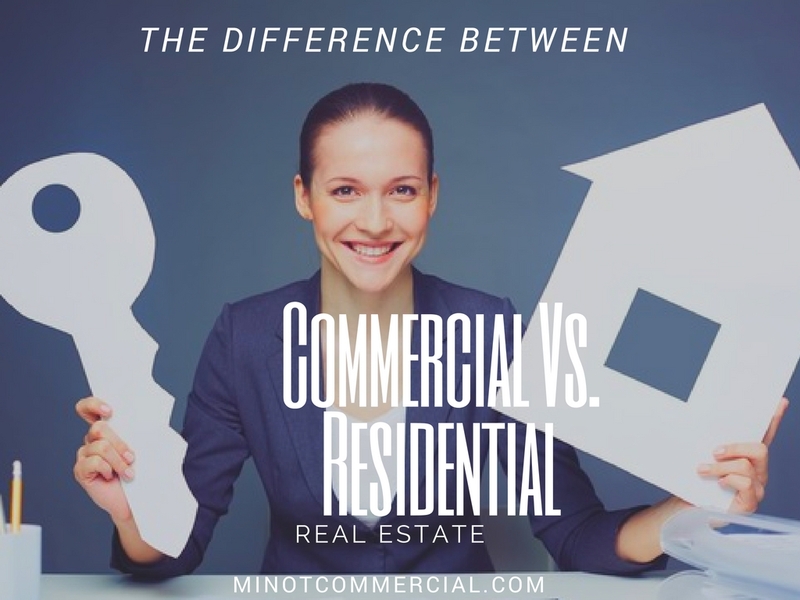 Here are the distinct differences between commercial and residential Realtors®. Residential Realty is easier to get into. You can achieve the success of a sale by closing on a deal in the residential field in as little as 90 days to six months. In commercial property, sales can take as long as ten months to complete. For both jobs, you will need a real estate license. A residential agent is not expected to have a college degree, but they will need a good deal of knowledge on the community they are selling homes in. A commercial real estate company is going to have more hiring requirements than that of a residential real estate company. Commercial real estate agents are typically expected to have great sales ability coupled with a finance or business degree showing you can talk with clients about important terms like internal rates of return, capitalization rates, analytics, and gross rent multipliers. You will for certain be using all the things you learned in college to communicate with clients. You will not find many part-time commercial Realtors®. They are usually doing this as a full-time career, whereas it is not hard to find a part time residential Realtor® picking up the job part-time to make some extra income. There is more corporate professionalism where commercial real estate is concerned. Residential is more familiar than commercial real estate. Everyone can see themselves owning some type of home not many people can say they own a large commercial building. This is why you see a large number of Realtor®s in varying stages of life from recent college grads to retired salesmen become residential Realtors®. Commercial real estate takes more dedication and focus. Commercial Realtors® are able to sell both types of property in a small market area. A residential Realtor® will need to take a few more courses to successfully break into the market and to efficiently represent their clients and take care of them well in a completely different and more complicated market. If you are looking to buy a commercial property you want a commercial real estate agent as it is a more complicated field of business that requires much more knowledge. You want to be sure the person you hire has the needed skills to get you the best property at the best price. For the best commercial real estate service in the Minot area contact the Signal Realtors® team.